No matter what you think of Ovation guitars, you have to hand it to them for trying, and I mean trying hard. 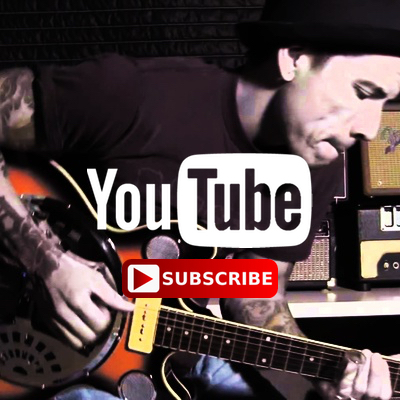 Their application of helicopter technology to acoustic guitars is the stuff of legends. I’m always blown away by how good the synthetic materials sound when you just don’t expect them to compare to traditional timbers. I confess Ovation’s choice of aesthetics has often been baffling, but some of that is attributable to the times in which they emerged. All of the above certainly applies to Ovation’s Quixotic attempts to break open the solidbody guitar and bass market. So naturally I’ve always been attracted to Ovation’s solids. I mean, what’s not to like about a battle-axe-shaped guitar like the Breadwinner and Deacon?! Or those nifty Ultra Kaman UK IIs with an aluminum frame and urethane foam body (finished up in really ugly sunbursts)! As you’d expect, the workmanship was always first rate on those guitars. Unfortunately, I was one of the very few who ever liked Ovation solidbodies, because they were notoriously bad sellers. I guess Mr. Robinson liked them too because he’s got a couple of Ovation inspirations in his line offered here, the Eastwood GP and Breadwinner models. In any case, when I found this Ovation Magnum II Bass with a built-in on-board 3-band graphic EQ, I had to have it! That it was/is exceptionally, well, homely with its lumpy potato shape certainly added to the mystique! Actually, there’s so much going on with this bass it’s mind boggling. Not only does the neck have a regular truss rod, it’s also got three carbon graphite strips for additional stability/reinforcement. One down the middle of the back and two more under the fingerboard. It’s got that big honking neck pickup which would be cool enough, but it has 4 individually adjustable volume trim pots built in under the cover. You need a little screw driver to adjust them to your liking, picking your sweet spots. Of course the brass saddles on the cast bridge/tailpiece assembly are micro-adjustable so you can noodle your intonation to your heart’s delight, and you can even adjust the tension of the whole tailpiece using an allen wrench. This bass has only mono output, which is a shame! A similar Magnum I was also offered that gave you stereo output, but didn’t have the EQ. So many bells and whistles! Maybe too many bells and whistles, truth to tell. I’m always infatuated with being able to adjust the heck out of technology, but maybe Eddie got it right when all he needed was a volume knob. I mean do you really want to be fooling around with trim pots in between songs? You might get electrocuted messing with a screw driver on stage. And is that tail tension just right? Sometimes you can overthink things and that may have been what happened with Ovation’s Magnums. As I’ve said before, I’m not really a bass player, even though I indulged in playing one briefly back in the day. Still, you just don’t pass up an opportunity to adjust volume pots for each string AND get to play around with a graphic EQ. The Magnum I (1261) and Magnum II (1262) were introduced in 1977 and lasted until around 1982. This one has a serial number B 01259 which dates it to 1979, right in the middle of the production run. I have no idea if these Magnum basses—indeed the entire Ovation solidbody oeuvre—were ever very plentiful, but I suspect there weren’t that many made, and even fewer sold. Ovation had actually begun making electric guitars—as distinct from its acoustic-electric guitars—way back in 1968 with its Electric Storm series of thinline semi-hollowbodies, the Thunderhead and the Tornado. They tried valiantly to plant the flag for close to 15 years, to no avail. 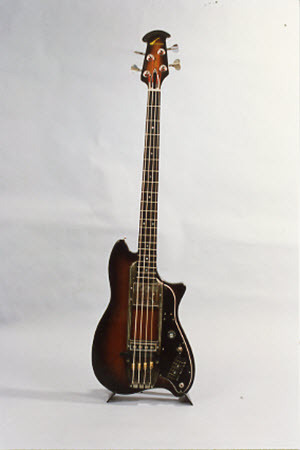 They finally pulled that plug in 1983 and just said no to making their own solidbody electric guitars and basses. Ovation did pick up a few endorsers over the years. Jim Messina and the Strawbs briefly endorsed them. Johnny Graham of Earth, Wind & Fire was seen playing a white Breadwinner on the 1976 album Gratitude. And Eddie Hazel offers a glimpse of a Deacon or Breadwinner on the back of his album Games, Dames & Guitar Thangs. Slim pickins. As in “not so great,” not as in the country western singing star. 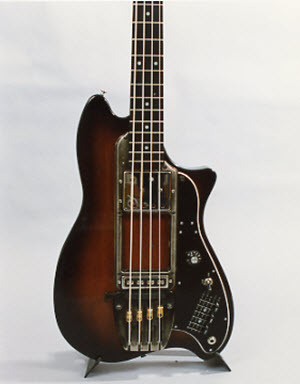 In 1985 Ovation imported some Korean necks and bodies and finished them up in the U.S. plant. These were the Hard Bodies series that featured the aforementioned GP model. In 1987 they imported a line of Celebrity solids completely finished in Korea. In 1988 Ovation just gave up and bought Hamer guitars and finally had a successful solidbody guitar and bass line on its hands. I’ve always been fascinated by these basses as well. Too bad they never made lefties. Kelly Groucutt of ELO played one for a while, and if you can mange to dig up a copy of the DVD, Urgh! A Music War, you can spot at least 2 bands playing one! 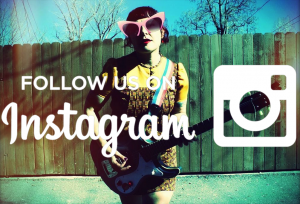 (Magazine, for one : https://www.youtube.com/watch?v=aYCpqffkmqY) Actually, I think all the bands just borrowed the same bass, LOL). I bought a Magnum II in1980 and still have it. A funky feature not mentioned in the article was a lever-operated mute, which, when fully engaged, would raise the pitch of all 4 strings! 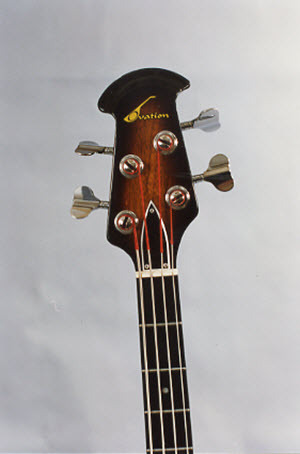 I worked at Kaman Music and remember the fellow that was, I think, the head of R&D for Ovation basses. He insisted that basses should be “big and heavy” – and this was when Stanley Clarke & Alembic were popularizing basses that were small & light! I never understood his reasoning. That being said, despite the odd design features and ugly appearance, it’s a darned good bass – very loud and punchy with that 3-band active EQ. For those who haven’t heard, Fender is closing down the Ovation factory in New Hartford, CT, where their high-end guitars were still being made. A sad end of an era. …and in light of recent news of Ovation’s New Hartford CT plant closing June 2014, the article was especially sentimental for me. My father worked for KAMAN (the helicopter division) for 30 years, and I was fortunate to have worked at the Ovation plant during summers when I went to college. I will always be a fan of Ovation and their out-of-the-box (pun intended) thinking. 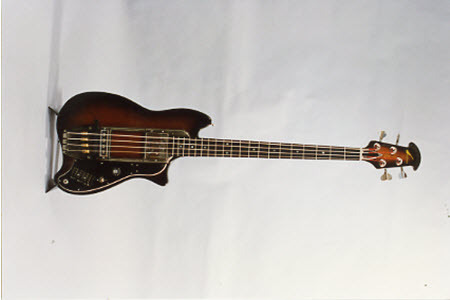 Didn’t the amazing Jah Wobble use this bass? slim pickins was an actor, not a country western singing star. Didn’t know Ovation was closing their Hartford plant. That’s too bad. I’ve never had an Ovation solid body, but I do have 3 of their acoustic-electrics – a “super-shallow” T357 “Tangent,” a deep contour-body 2071 “Ultra,” and a “mid-depth” body “Celebrity Plus.” They each have a different preamp, with slightly different features. As acoustics, the first sounds thin, the second is pretty “boom-y,” and the third sounds really good, at least to my untutored ear. Anyway, I have all three body depths, and I like the mid-depth best for acoustic sound. Plugged in, they’re all good, though the “Ultra” remains a little bass-heavy with its deep body, but I can dial that down with the preamp’s built-in EQ. The Tangent and the Ultra are discontinued, but I’m not sure about the Celebrity Plus. They’re all rock-solid, and stay in tune at least as well as my Strat and my Eastwood Bighorn. I owned one of these. It was great, but it was a mixed bag of good features and bad ones, with one special weird one. The good: besides the overall excellent quality of the instrument, the neck pickup had separate coils under each string, so those trim pots allowed you to adjust the volume for each string to compensate for boomy E’s or over-zingy G’. The bad: 1) Only 20 frets, should have been 24; 2) The bridge kind of sucked, it would have been better if it was solidly fixed to the body. The weird: this is the best part: if you pulled off the back cover, and touched the circuit board underneath… you would pick up radio signals through the bass! Kim Gordon of Sonic Youth use to play an Ovation Magnum!!! I can’t remember if her’s was a ’78 or ’79? In 1979, when I was in high school, I went bass guitar shopping. The salesman at one store was hell-bent on selling me one of these. I think he told me Ross Valory was playing one. I thought I’d humor him and try it. It was ugly as sin, played OK and sounded… not great. I handed it back to him pretty quickly and left. Ended up buying a clean used 1975 Jazz Bass (maple neck, black markers) in chocolate brown out of the classifieds for $350. Good choice, I think. I’m getting to old to play would rather see it go to someone that will play it like it deserves ! I bought the Magnum II in 1985 and it was stolen in ‘87. While at a repair shop the note I left inside had my name and address stating “if you have this guitar. It was stolen, please return”. And after 30 years, it was returned back to me. The EQ was damaged but everything still works ! I never gave up looking. It’s a beast on stage and would never give it up. Great bass !! Saw Jah Wobble last night, he was playing one. He sat down quite a lot. I don’t think they are ugly! I think they are rad. Never had one but I have two Ivation UK-ii’s Which have been my main guitars for twenty years. I’m currently on my second Magnum I – the first was stolen way back in ’85, and it took me until 2011 to locate another one (not many of them made it to Australia, I’m guessing). Found one on a local music store’s webpage, but when I went in to check it out, they told me Jack White had bought it last time he was in town…eventually had to get one shipped from the US at considerable expense. It was worth every cent! Got a Breadwinner I’ve had since ’88, too. Love my Ovation solids! Hello, Eastwood Custom Shop?? If you revived this design I would buy a left hand model in a heartbeat!